Today's 50% Discount Friday item is the is a cool item called the Invisible Dog. You've probably seen these at your local county fair. 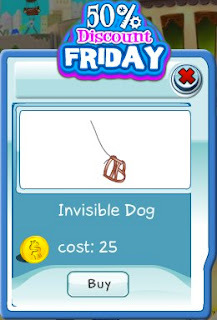 Get this item today before the offer ends and take your unseen pet for a walk.